It's mystery agent time this Sunday! the first 200 words of your COMPLETED manuscript. That's right, the first 200 words, not a pitch. I'm looking for YA of all types, story-driven (as opposed to "lesson"-driven) middle grade. I'm also looking for a range of commercial adult fiction. So polish up those opening words for our contest this Sunday. The prize will be a partial request from our fabulous mystery agent. We all know there is a lot of awesome that happens in the writing community. 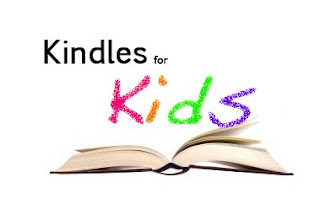 Since part of what we like to do on the OA blog is spread the awesome, I'm going to let Danyelle Leafty tell you about a fabulous fundraiser called Kindle for Kids. THE HUNGER GAMES Movie: What Did YOU Think??? 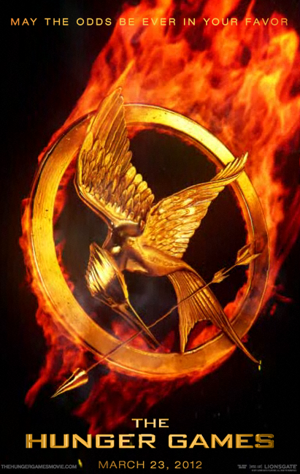 If you saw The Hunger Games this weekend, what did you think of the movie?? Winner of Paranormalcy by Kiersten White!! I've contacted our winner via email for her shipping info. THANK YOU to everyone who entered and shared the booklove! I'm happy to see so many who are already Kiersten White fans, and hope to see many more of you join the fun. Buy it here. I love book trailers. 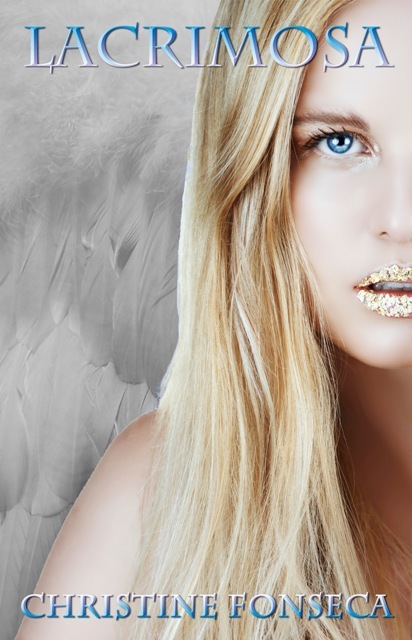 I also love that I get to share the book trailer for Elemental by Emily White. For ten years--ever since she was a small child--Ella has been held prisoner. Now that she has escaped, she needs answers. Who is she? Why was she taken? And who is the boy with the beautiful green eyes who haunts her memories? Is Ella the prophesied Destructor... or will she be the one who's destroyed? 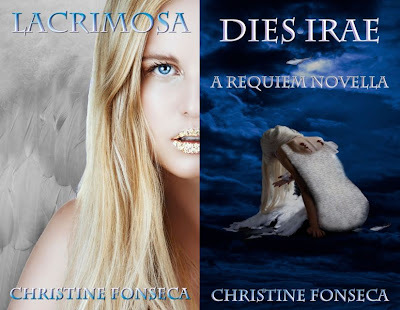 In celebration of the release of Christine Fonseca's novel LACRIMOSA, I'm giving away e-copies of both LACRIMOSA and its prequel novella DIES IRAE! Head to my blog and leave a comment to enter!! Review: I'm a sucker for a vivid, compelling fantasy. Yes, dragons have been done before, both in literature and films. But Rachel Hartman's take is one I find refreshing and oh-so-awesome. For starters, her protagonist--the musically gifted Seraphina Dombegh--felt like a long lost friend. She's curious about the world around her, as well as her sort-of-concealed past. She's extremely self-conscious, but at the same time, confident. She has a big heart, always caring for her father and the grotesques (deformed creatures) who live in her forest. With her voice alone, I was happy, but Seraphina isn't a novel that satisfies itself with succeeding at one thing. The world-building rules--especially those regarding dragons, or saarantrai--in Seraphina are several, but they're laid out logically and at a pace that feels comfortable. There is zero clunky writing here, folks. Hartman's prose is easy to digest, but powerful in its delivery--something I find uber-important in the fantasy genre, where description/setting up the world can sometimes overshadow character development and depth. Whether it's discussing the different saints the characters worship or the melodies Seraphina's instruments produce, nothing feels like it's there gratuitously. Hartman is adept at weaving in detail into a complex plot without bogging it down. All in all, this is a fantasy novel for readers of all genres, but especially for those who love political intrigue, magic in unexpected places, and lots of (really sweet) romantic tension. Make sure you pick up your copy of Seraphina on July 10th!! Happy St. Patrick's Day from the OA!!!!! Michelle McLean's TREASURED LIES, in which a woman reluctantly agrees to become engaged to make her aunt and her fiance's grandmother happy but finding a lost treasure could gain her freedom; in searching for that, she may lose her heart, to Erin Molta at Entangled Scandalous, for publication in November 2012 (World). Once, when I was probably too old for this story to be cute (ten or eleven), my parents were away in the middle of the afternoon. I was in charge of the three siblings younger than myself. I took that responsibility very seriously. I also took all of my Stranger Danger training very much to heart. So when someone called for our mother and my little sister TOLD THE STRANGER ON THE PHONE THAT OUR PARENTS WERE NOT HOME, I was pretty sure we were all going to be murdered. Thus it was our parents returned home to find us huddling in a fort made of couch cushions, out of view of all the windows, clutching knives. But were any of my siblings murdered by roving strangers cold-calling houses to find out which ones had no parents at home? No they were not. If that wasn't successful babysitting, I don't know what was. That's a true life tale from authoress extraordinaire Kiersten White's youth, and it's a prime example of why I LOVE reading her work. That VOICE! It's witty and relatable with just a touch of the snarkiness we all love. Most of all, when I'm reading Paranormalcy or Supernaturally (Endlessly comes out July 24th! Squee! ), something about Kiersten's voice shining through her character Evie just makes me feel normal. Like all the weird stuff that makes me me is par for the course. I can only imagine that the millions of teenagers buying her books feel the same way, and if there's ever a time you need to feel normal for being weird, it's when you're a teenager! I'm doomed forever to read whatever Kiersten White puts out there in the marketplace because I love her voice that much. But it's even worse than that. I want you to be doomed with me. Blog Tour Stop - LACRIMOSA by Christine Fonseca!! 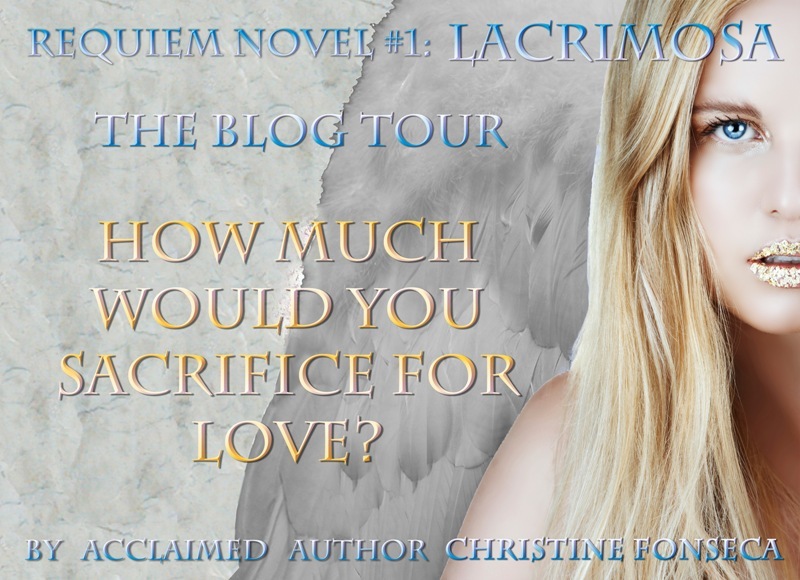 I am thrilled to be able to host a blog tour stop for my dear friend Christine Fonseca and her debut novel LACRIMOSA. Christine has a fun and exciting tour going on, so if you've missed any stops so far, be sure to click the links below to catch all of it. Christine has been reading excerpts of the opening chapters of her book and each blog tour stop contains a clue for a super awesome giveaway at the end of the tour AND for our leg of the tour, one lucky entry (you must fill out the form below) will be winning an awesome prize pack filled with Nesy's favorite things! It’s been three thousand years since the fall of Azzaziel and the rebirth of evil; three thousand years since the Sentinal Order, an elite group of warrior angels, returned to Celestium. Their job—rid Earth of the dark creatures, the UnHoly. And with luck, end Azza’s rule. As if casting out demons isn’t hard enough, five-hundred-year-old Nesy has to masquerade as a teenage girl to do it. Nesy is the best of the Sentinals. She never makes mistakes, never hesitates, never gets emotionally involved. Until she meets Aydan. He is evil incarnate; a fallen angel that feeds off the souls of others. Everything Nesy is supposed to hate. But she can’t, because he’s also the love of her former life as a human girl—a life that ended too soon, tying her to emotions she was never supposed to feel. Now Nesy must choose between doing her duty—damning Aydan to the fiery depths of hell—or saving him, and condemning herself. And her choice may cost her, and Celestium, far more than anyone realizes. Today I am finishing up Nesy's chapter with the final part of my reading. Be sure to check out next week's tour to see chapter 2. Miss parts 1 or 2 of the reading? Check out Rebecca Enzor's blog from Monday, or Angela Brown's blog on Tuesday. You can enter up to twice daily (through the tour and my blog). And there's more - collect the daily clues to enter the EPIC grand prize giveaway that includes books, swag and a special surprise. 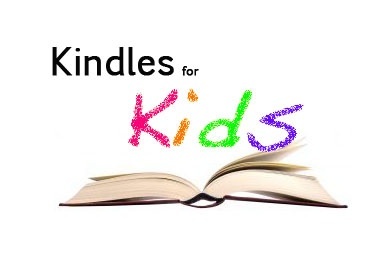 Hardback and Digital formats from Amazon, Barnes and Noble and fine retailers. Additional Titles in the series include DIES IRAE (a Requiem Novella), LIBERA ME (Oct 2012) and REQUIEM (March 2013). And check out the book trailer!! A summer full of secrets. Every summer, hidden away in a lakeside community in upstate New York, four teens leave behind their old identities…and escape from their everyday lives. Yet back in Philadelphia during the school year, Alex cannot suppress his anger at his father (who killed himself), his mother (whom he blames for it), and the girls who give it up too easily. His younger brother, Kyle, is angry too—at his abusive brother, and at their mother who doesn’t seem to care. Meanwhile, in suburban New Jersey, Katie plays the role of Miss Perfect while trying to forget the nightmare that changed her life. But Julie, her younger sister, sees Katie only as everything she’s not. And their mother will never let Julie forget it. Up at the lake, they can be anything, anyone. Free. But then Katie’s secret gets out, forcing each of them to face reality—before it tears them to pieces. Review: Holy bananas. Pieces of Us can be described using those two words. Why? First off, it's the kind of book that makes you want to write better. Gelbwasser gives us four narrators--three who speak in first person POV, and one who speaks in second person POV. Thankfully, each voice is distinctive (my personal favorite was the second person POV; it heightens how detached the narrator feels to what happens around them). Gelbwasser did a flawless job at crafting characters that both complement and conflict with each other. Her novel is practically a crash course in voice, and how it can push the plot forward. Although it was difficult for me to enjoy all her narrators, Gelbwasser never let me forget how important it is to add depth and resonance to an unlikeable character. If you remove even one of her narrators, Pieces of Us just wouldn't be as powerful to me. Another reason why this novel works for me is because of the actual plot. Some things are hard to stomach, to be honest. Others are so, so beautiful and sweet and wow. But all of it is written in such a way that you have to keep reading (that is, if you're comfortable reading novels with topics on the heavy side). There's this unshakeable sense of dread, that something MAJOR and MESSED UP will happen at any second (especially when it comes to Katie's secret, which the book blurb alludes to). It takes a skilled writer to make me flip the pages when all I want to do is cry. And, oh boy, did I cry. Very few novels have made me bawl my eyes out, but Pieces of Us achieved it, folks. With clear, straightforward prose that's filled with magic. No, it's not a novel for everyone. But if you're a fan of contemporary YA, particularly of Courtney Summers and/or Nina LaCour, this is your book. 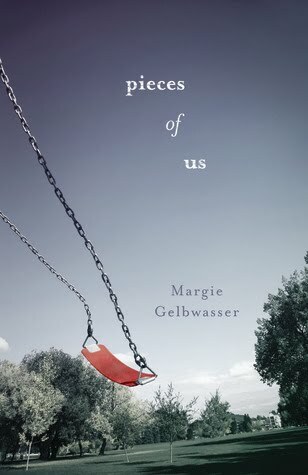 Make sure to get your copy of Pieces of Us, which is on sale now! March Mystery Agent REVEALED + Winner(s)!! Sarah LaPolla from Curtis Brown, LTD!! Pitch: Rendered mute thanks to a crippling anxiety disorder, seventeen-year-old Kyra Anderson lets her art speak for her, but a painting won't fix the riff between her and her stepsister so she accepts a deal from a stranger on a messageboard: she'll be able to speak for herself, if she trades away her artistic talent. CONGRATS, Chelsey!!! Please send your winning entry to Sarah with your query pasted in the body of the email, and your full manuscript attached as a Word .doc to sl (at) cbltd (dot) com!! Congrats, ladies!!! Please email your first three chapters to Sarah at sl (at) cbltd (dot) com!! 1) It says on the Curtis Brown website that you "love complex characters, coming-of-age stories, and strong narrators". Which published novels have you read recently that fit this description? To me, The Outsiders fits that description completely. It has all three criteria, and I still want to reach into the page and hug Ponyboy. I guess that doesn’t answer the question “what I’ve read recently” because I’ve read that several times over the last 15 years. The most recent title I’ve read with this description is the new Francesca Lia Block title, Pink Smog. I had only recently discovered Weetzie Bat and now I understand why so many people in my generation loved it so much. Pink Smog is the prequel that has the same engaging character, but is almost like her origin story. It’s the definition of a coming-of-age story, but because it’s Weetzie, there’s a magical twist. 2) It's no secret that you're a Buffy the Vampire Slayer fan (being one myself, it's impossible to blame you!). What do you think writers can learn from the show? Are there any other shows you think writers can learn a lot from? Not to get too self-promotional, but I actually wrote a blog post about what writers can learn from Buffy the Vampire Slayer, specifically in terms of character development: http://bigglasscases.blogspot.com/2011/02/fire-bad-tree-pretty.html. The show is not without flaws, but the writing quality in terms of a series arc is just impeccable. Other shows can be just as educational. For pacing, I recommend watching The Vampire Diaries, which puts more plot twists into one episode than most other shows have all season. For dialogue, it’s hard to top The West Wing. Even if your characters aren’t as educated or high profile, but in terms of delivery and timing, it’s a good writing lesson. I also think you can learn a lot from Lost. The plot of Lost was irrelevant from the beginning, so in that sense it could be a lesson on what not to do in terms of leaving plot holes and dragging stories out too long. But I think writers can learn a lot from it on how to world build, create strong characters, and keep your readers intrigued. 3) Not only do you feature short stories submitted by writers on your blog, Glass Cases, but you're a writer yourself. What's the hardest part about your writing process? The most fun? The hardest part is definitely finding the time to write. I tend to let everything else come before my own writing, but I’ve been getting better at reserving a small chunk of time for myself each week. I used to write nonfiction, but I’m determined to finish a YA novel this year. Making the shift to fiction was difficult. When I first started my current WIP, it was closely autobiographical. Now my characters have taken on lives of their own and a plot has formed, and it seems surreal that I actually wrote it. I also don’t write linearly, so now that I’m piecing everything together and seeing the larger picture it feels real. That’s been the fun part. 4) Any tips for writers struggling with their one-line pitches? One-line pitches are tough. I think the best way to do it is to take your query and remove any unnecessary character descriptions and back-story. Ask yourself what your story is about. Not thematically or existentially. We don’t need to hear that it’s about your character learning to find herself or dealing with some larger issue. We need to know what it is that makes your character go through that. 5) Do you have any exciting client/agency news to share? I’m super excited for two new YA titles coming out from Simon Pulse in 2013. KM Walton’s follow-up to CRACKED will be published in the spring. It’s called EMPTY and will also deal with bullying and teenage depression. The main character is named Adele and she’s just so funny and heartbreaking. I love her. The other title is a debut from Christa Desir called TRAINWRECK. It’s told from a teen boy’s perspective of what happens when the girl he loves is raped and how badly he wants to make it all better. It’s such a powerful boo, and it’ll be published in the fall. I can’t wait! Just thought I'd share with you a post on Angry Robot's new YA imprint, Strange Chemistry. They have an awesome post on March YA releases. Check it out here. And while you're there, Check out the news on the Open Door Submission. If you've completed a YA manuscript, that is F/SF, then you have a shot at being a part of their new imprint. Last year, during the Angry Robot open door submission, 3 authors were chosen (so far). And lastly, my super cool friend, Cole Gibsen, has a book coming out this week. Matter of fact, there have been sightings already in some books stores. 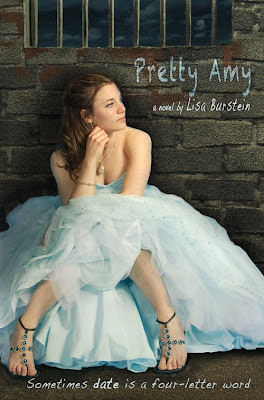 I'm thrilled to be part of the cover reveal for Lisa Burstein's PRETTY AMY! 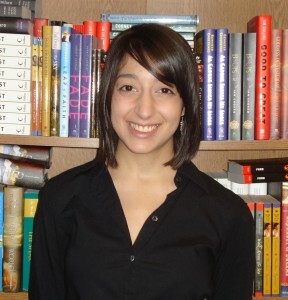 I've been an online friend of Lisa's throughout her agent search and submission, and now at last, her funny YA contemporary is being released by Entangled Teen May 15, 2012. WOOHOO! Amy is fine living in the shadows of beautiful Lila and uber-cool Cassie, because at least she's somewhat beautiful and uber-cool by association. But when their dates stand them up for prom, and the girls take matters into their own hands, earning them a night in jail outfitted in satin, stilettos, and Spanx. Amy discovers even a prom spent in handcuffs might be better than the humiliating rehabilitation techniques now filling up her summer. Worse, with Lila and Cassie parentally banned, Amy feels like she has nothing -- like she is nothing. Navigating unlikely alliances with her new coworker, two very different boys, and possibly even her parents, Amy struggles to decide if it's worth being a best friend when it makes you a public enemy. Bringing readers along on an often hilarious and heartwarming journey, Amy finds that maybe getting a life only happens once you think your life is over. Isn't the cover lovely? Looks like poor Amy doesn't know what's in store for her. PRETTY AMY by Lisa Burstein will be out May 15 in paperback and e-book from Entangled Teen. I just cracked open the file for a novel I have thought about a lot but barely looked at since the last major revision last March. It's DEADWOOD, the MG contemporary fantasy that will be published by Pugalicious Press, and I'm working through my editorial letter. I followed the usual advice not to revise while submitting, but now it's been a long time. What plot holes and clunky phrases were inserted over the past year? I'm a little frightened. I'm not a patient person, so I don't usually let manuscripts rest like this. I write, then revise right away, and revise again. But I do love revising, so I have a couple manuscripts that aren't quite there yet that might make their way out of the vault to be revised after DEADWOOD. Some of my writing friends, including my brilliant Operation Awesome blogmates, have had tremendous success writing and rewriting favorite old manuscripts, or even picking on the bones of old ones to come up with a new one. A lot of advice I've seen goes against revisiting or focusing too much on old manuscripts in favor of new ones, but different things work for different writers. What's the longest you've ever let a manuscript rest between revisions? Do you have anything in your trunk that you plan to revive someday, or do you move on right away? Here we go again, folks! Today is our March Mystery Agent Contest! Make sure you read our Mystery Agent's preferred genres post, which also includes the genres our MA isn't interested in. Now. Let's get this party started, shall we?? 1) Entries must be left in the comments section of this post (please don't email/Tweet entries to us. You won't be entered into the contest if you do). 2) Your manuscript must be completed and ready to send upon request. 3) You can only pitch once today (only one project). If you participated in previous MA contests, you may enter this one as well. 5) Your pitch must be one sentence long. The exact word count is up to you, but remember: stick to the point! 6) The contest will close once we receive 50 entries. 7) The winner will receive a FULL manuscript request! Our Mystery Agent may or may not choose runners-up as well, but it's totally up to them. Okay. That's enough of me for today. Go forth and pitch, my blogging buddies!! Best of luck to all who enter! !